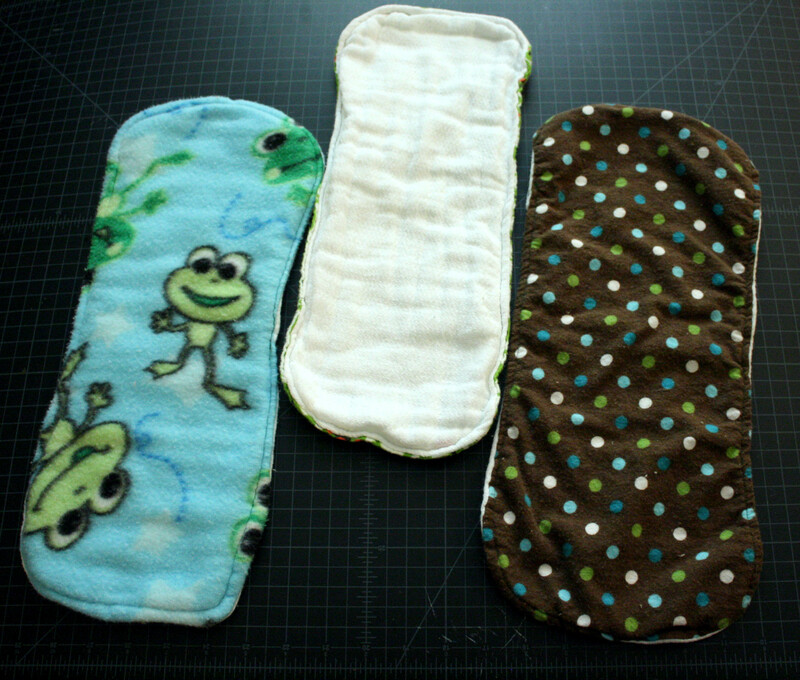 Enhanced cloth diaper (to be used as burp cloth), where fabric is sewn onto the middle of the diaper, like HERE and HERE. 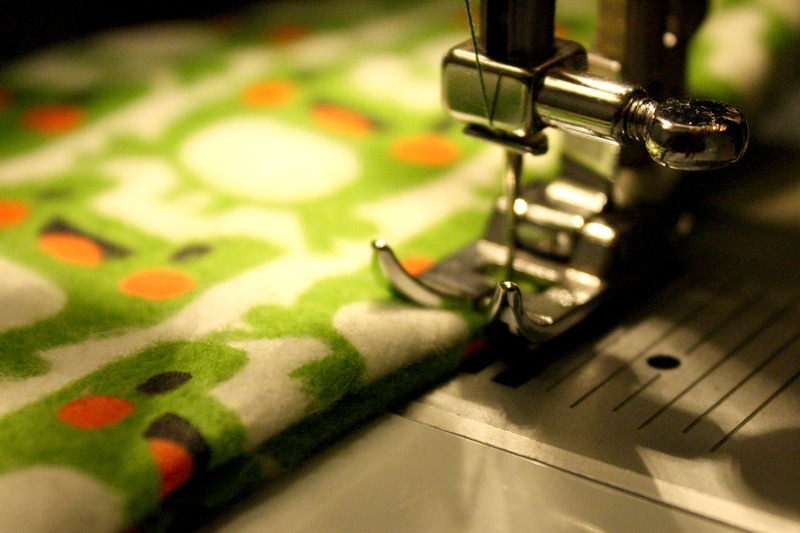 and for lack of a better description, a more “from scratch” or layered burp cloth. 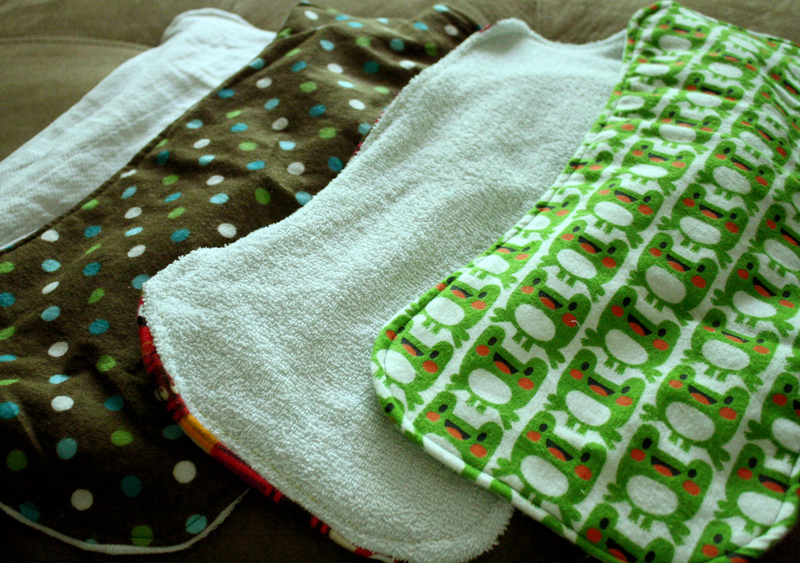 These burp cloths are usually shaped to fit around your shoulder, or in a rectangle, and utilizes different fabrics on one side and more absorbent fabric on the other side (or double sided flannel). I made some of the second variety. I love using Homemade by Jill’s basic template to get started. I like the curve because it allows the cloth to be up against your neck and over your should comfortably. I too, like to use flannel as my go-to pretty burp cloth fabric; I like how soft it is. 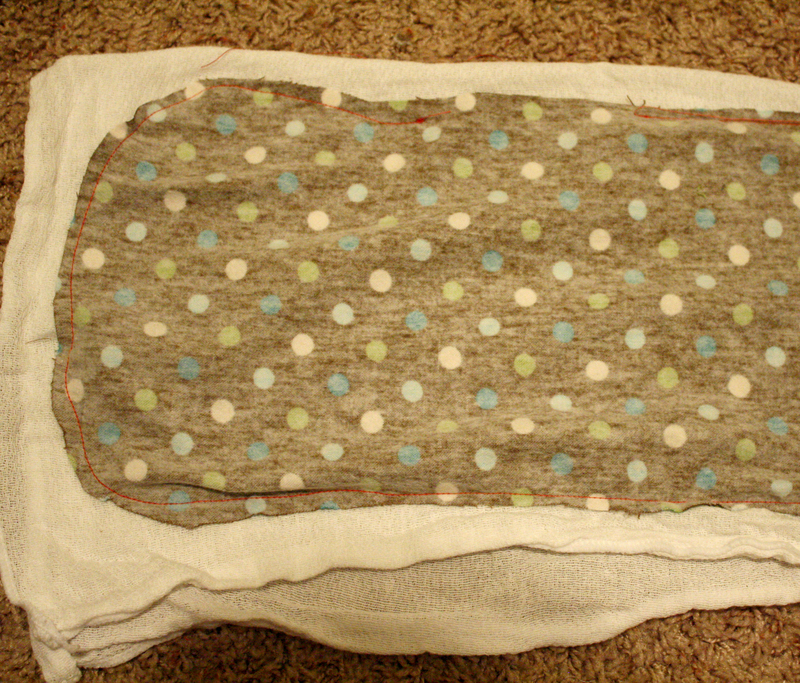 Cut out the absorbent layer or side, or cheat like I do, and lay the decorative fabric wrong side up against it, and sew around the edges, leaving a spot open to turn right-side out. 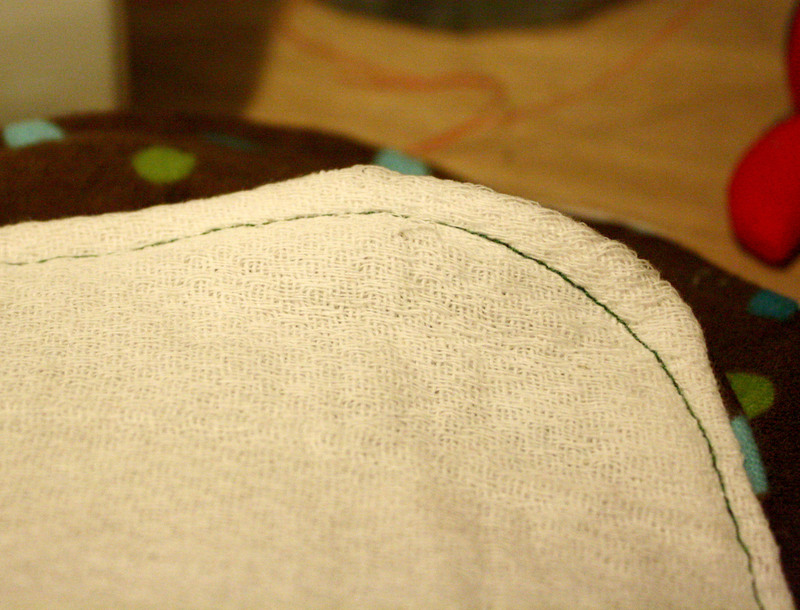 Trim the edges and turn right-side out.